Sootie was given to me by dad coming home from a business trip in 1957. I have been looking everywhere on the internet to try to identify his manufacturer. I thought he was by Knicerbocker, but I can't find him under that name. The attached photo is almost exactly what he looks like, except Sootie's front legs and arms are all white. Except for black ears, he is essentially all white on the front and all black in the back. His glass eyes are orange and I don't believe he had black ovals around his eyes (as most pandas have). 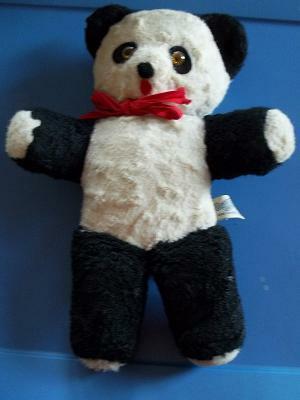 His feet and "hands" are black in the back, white in the front and they are stitched to a closed seam, not rounded. He is about 6-8" tall, straight arms and legs with arms slightly shorter than his legs. Any ideas would be greatly appreciated. I looked at the Chad Valley bears and they appear to be a very close match to my bear, except they are more detailed and of a higher quality. The original "Sooty" puppeteer had a British accent so I'm sure the TV Sooty was a Chad Valley bear. 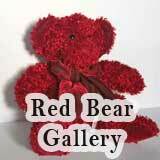 I also looked at Ken Yenke's site, but that bear doesn't look like mine. 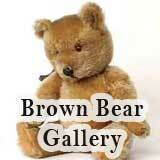 I looked at Character Company in Norwalk, CT and some of their bears have similar characteristics. I guess my little guy's origin will remain part of his mystical allure. 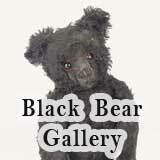 Sootie was a hand puppet bear on The Mickey Mouse Club back in the mid to late 50's. That puppet was very pale color, though with black and white TV it was hard to tell what color he was. He was a mischievous little guy that I adored. My Sootie is (or was) all white in the front and reminded me of the puppet. I wish I could upload a picture of him, but I don't see how I can. He is almost exactly like the one I posted, except the black legs are white on my bear. Chad Valley Chiltern Hygienic Toys made in England. 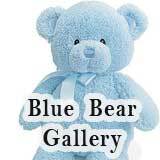 I have the same bear but no where near as nice looking. I hope this helped you. My bear still has his tag on it. According to another site, a bear matching the description you have posted, Orange eyes, all white with black/brown paw pads or muzzle. Several firms sent to Haiti for there work to be made; Gund and Character companies were two. 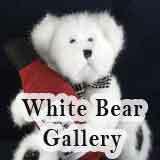 I found a bear very similar to your description on another site!! 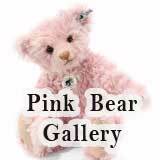 This is what was written about it "Your teddy was made in the 1960/1970's and is made of a dual cotton plush. The eyes are transitional plastilene, glass would indicate an earlier year. No joints so it was a crib bear for a youngsters. Several firms sent to Haiti for there work to be made; Gund and Character companies were two."